In episode 113 of the Truth Be Told Podcast, Cardi B vs Nicki Minaj, Kanye West & Eminem on Twitter, release dates for Drake & J. Cole, Kendrick Lamar wins a Pulitzer + album reviews for E-40 & B-Legit, Meyhem Lauren & Flatbush Zombies. In this podcast episode, we talked New Drake music, Femcee Face off, possible new Nicki Minaj album, SOB x RBE and Migos beef brewing + album reviews for DJ Esco & Cardi B. In this podcast episode we talk #DeleteFacebook, Tekashi 6ix9ine's Breakfast Club interview, Jeezy's retirement, Lupe Fiasco, Wendy's mixtape + reviews for Saweetie, Kash Doll, Xxxtentacion & PRhyme. In this episode of The Truth Be Told Hip Hop Podcast, Craig Mack passes, we review the new trailer for Avengers: Infinity War, Logic vs Joyner Lucas again, Kanye West in Wyoming, Lemon Remix + reviews for Wale, Lil Yachty & Logic. In episode 108 of The Truth Be Told Podcast, everybody hates Lil Xan, Juelz Santana runs from police, Joyner Lucas & Logic's beef reignited, Vince Staples + reviews for Valee, Phonte & Tech N9ne. In this podcast episode, we talk about the true King of New York, Rick Ross' impact, Drake's reign on the billboard for 6 weeks + reviews for SOB x RBE, EARTHGANG & Elzhi x Khrysis. 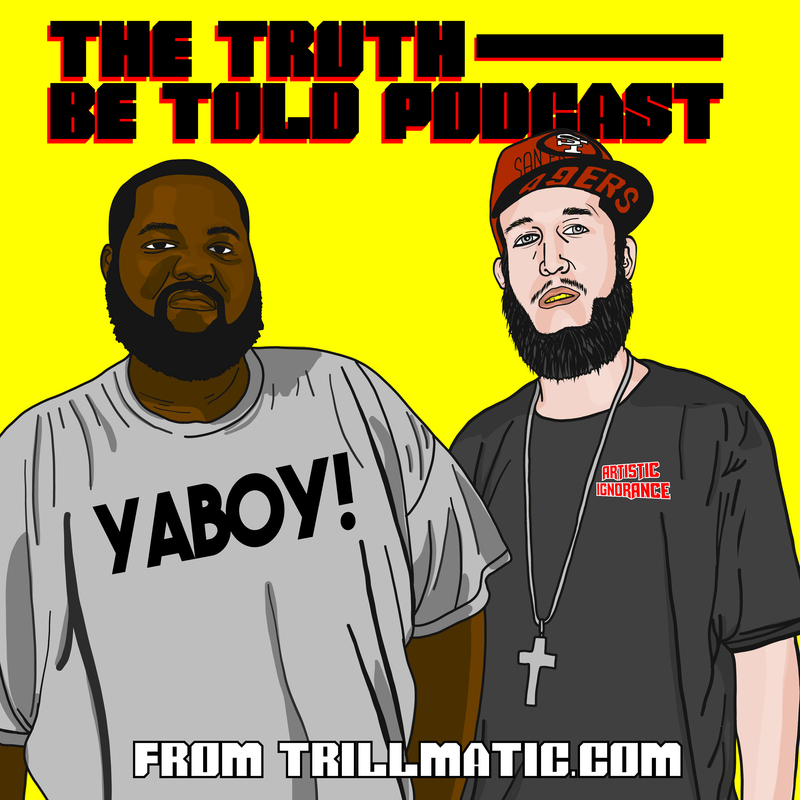 In this episode of The Truth Be Told Podcast, Black Panther & Killmonger review, Joyner Lucas & Chris Brown, Osama Bin Laden + album reviews for Lonzo Ball, Moneybagg Yo & Nipsey Hussle. In this episode of The Truth Be Told Podcast, Lonzo Ball, Valee & G.O.O.D. Music, Drake's good side in God's Plan + album reviews for Audio Push, Cozz and Kendrick Lamar with the Black Panther Soundtrack. In this episode of the Truth Be Told Podcast, Will Smith is the Fresh King, Martin might get the reboot, New Black Star on the way + album reviews for Evidence, Skyzoo & Rich Brian. Since the beginning of sneakers and Hip Hop, adidas has been at the forefront and continues to this day to be iconic to the Hip Hop culture.